Ararat Rural City Council has commenced Fire Prevention Inspections on properties across the municipality. Residents are being urged to prepare their properties by cutting grass and undergrowth near assets to less than 100mm in height, ensuring trees are not overhanging buildings and removing leaf litter from roofs and gutters. A Fire Prevention Notice may be issued to the owner or occupier of any land for the removal of fine fuels deemed necessary to protect life and property from the threat of fire. If residents fail to comply with a Fire Prevention Notice the infringement penalty is $1,586.00. Non-compliance will also result in Ararat Rural City Council arranging for the work to be done and costs invoiced to the owner. Recommendations for rural and rural residential allotments are a six metre bare earth break or 20-metre wide slashed/grazed area around dwellings and other assets including neighbour’s dwellings. Boundaries should also be cleared on larger allotments. 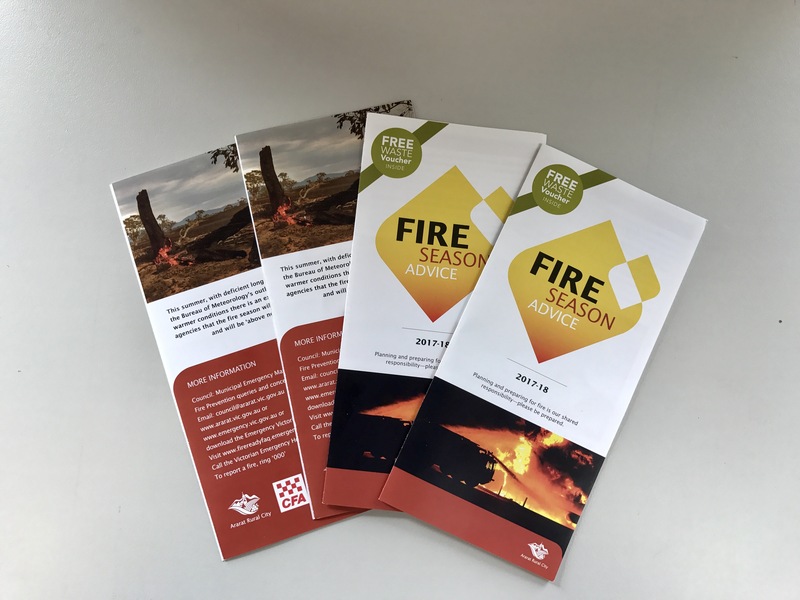 Ararat Rural City Council Mayor, Cr Glenda McLean said the annual fire prevention brochure would soon be hitting letterboxes across the municipality. “Council has once again prepared the Fire Season Advice brochure, which has lots of helpful information heading to what is expected to be another dry, hot summer in our patch,” she said. “This includes two free waste vouchers to visit your local transfer station in the municipality to assist the community to clean up around their homes and property in preparation.